Zig and zag your way through this fun project. 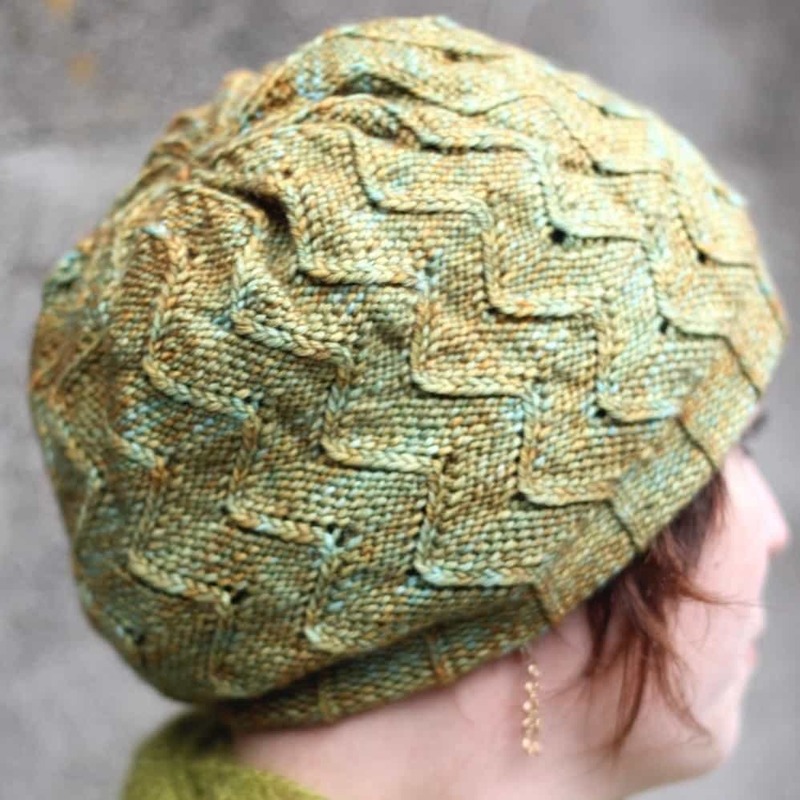 This hat is a little bit slouchy and a lot bit fun to knit. The added bonus is that it’s completely reversible – the reverse-stockinette look is the one you are actually knitting. 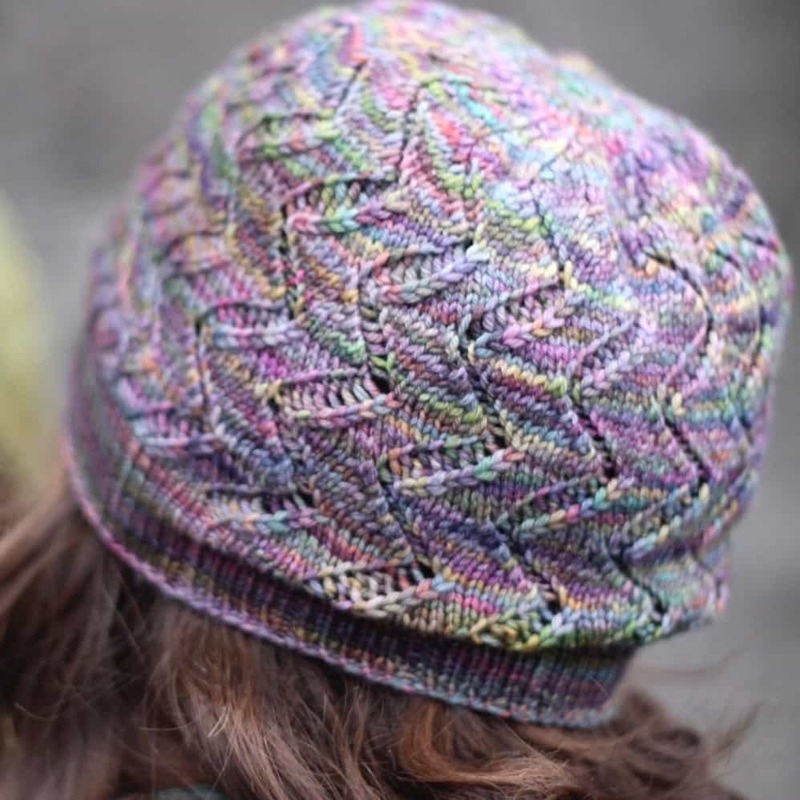 It only uses about 200 yards of a heavy sport to DK-weight yarn, and looks great with a highly variegated skein. Yarn: approximately 200 yards DK-weight yarn. I used madelinetosh tosh dk, colorway Filigree (green) and Malabrigo Arroyo, colorway Arco Iris. Needles: US5/3.75mm needles for circular knitting, or size needed to get gauge, and needles for circular knitting in one size smaller. Gauge: 22 sts & 28 rows = 4”/10 cm in stockinette stitch, measured after blocking.